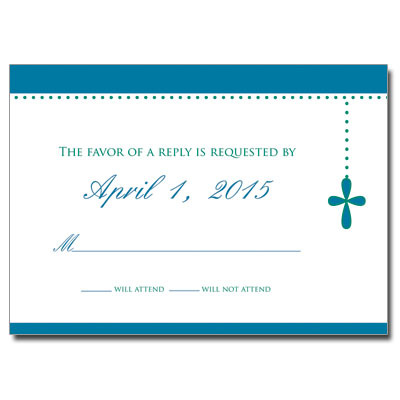 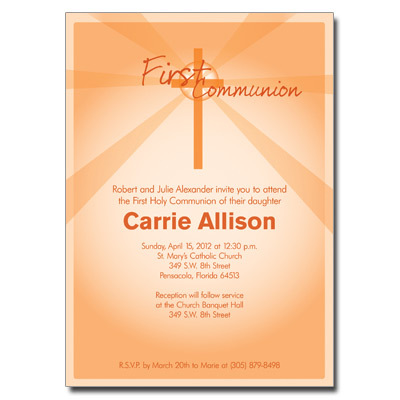 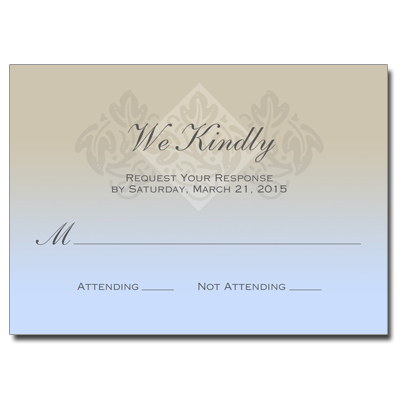 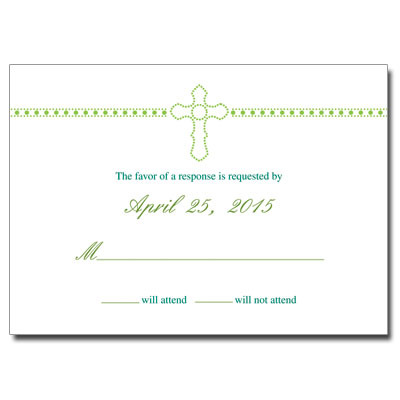 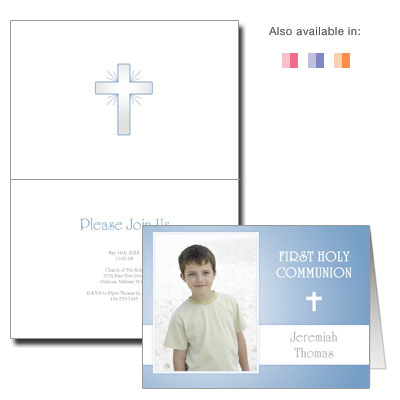 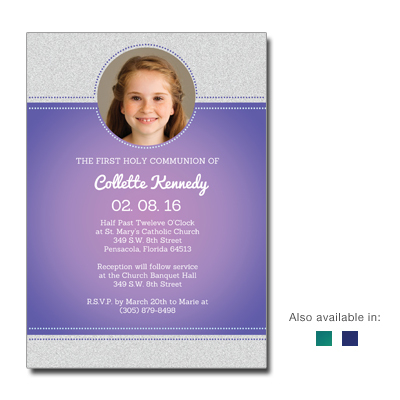 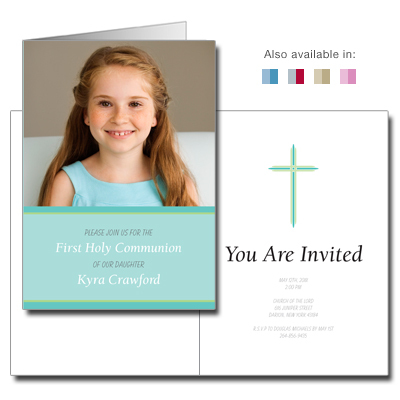 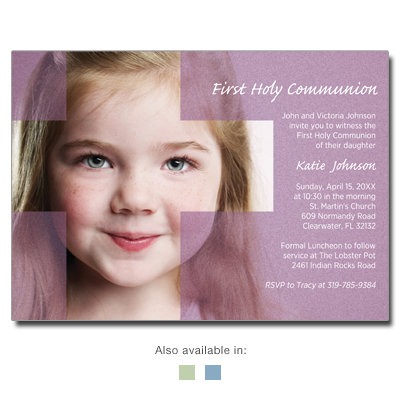 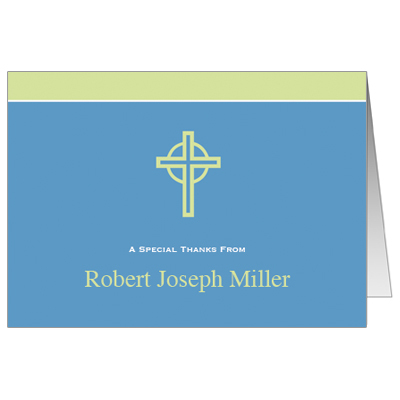 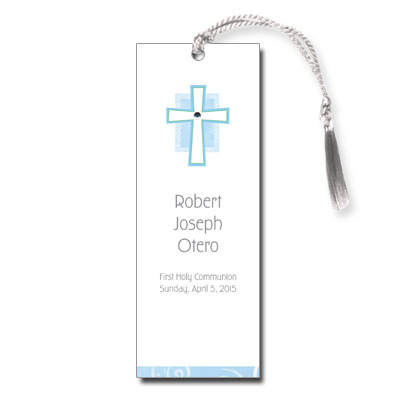 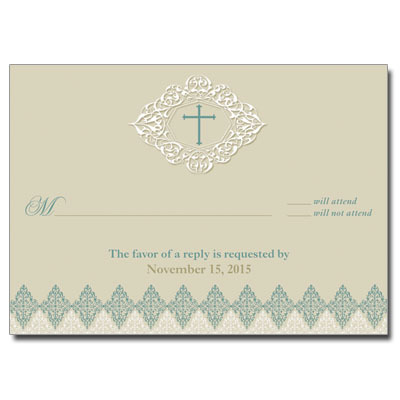 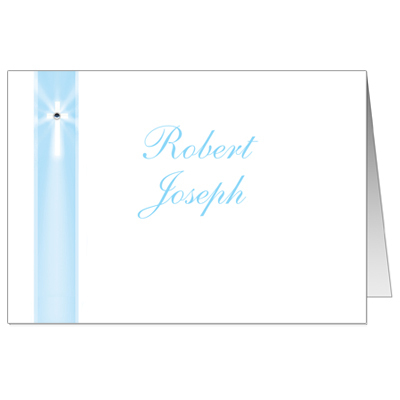 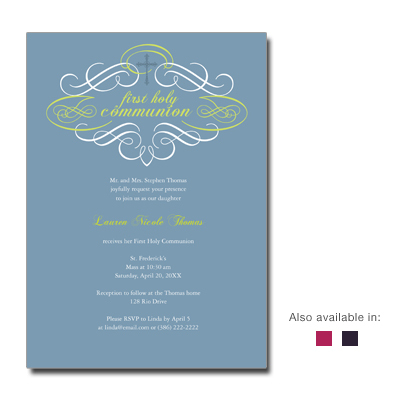 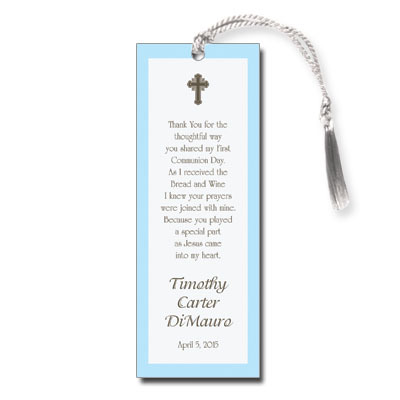 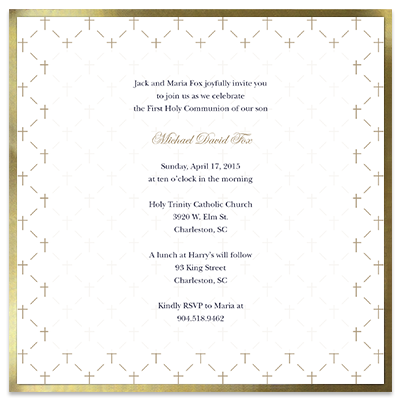 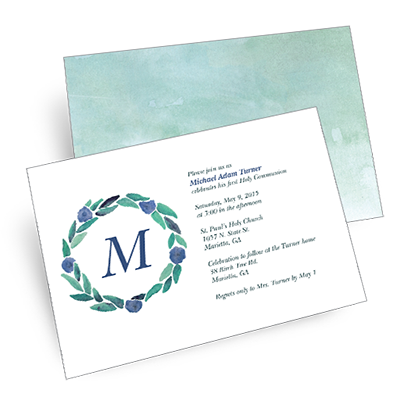 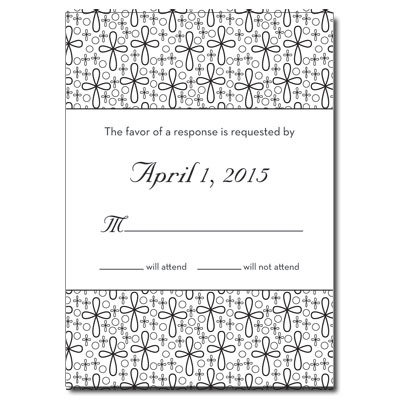 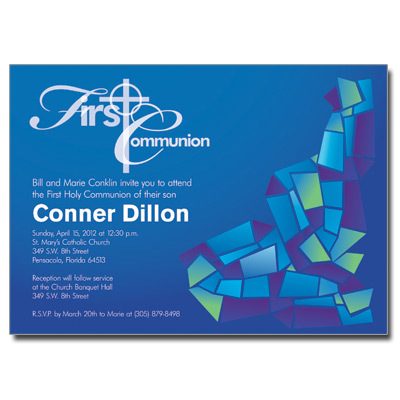 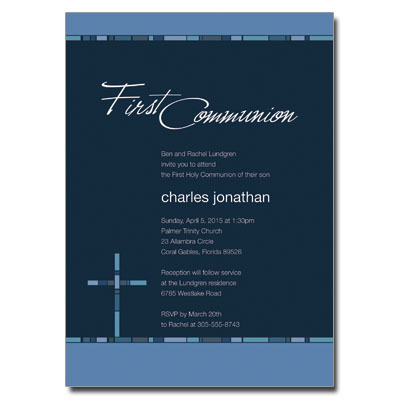 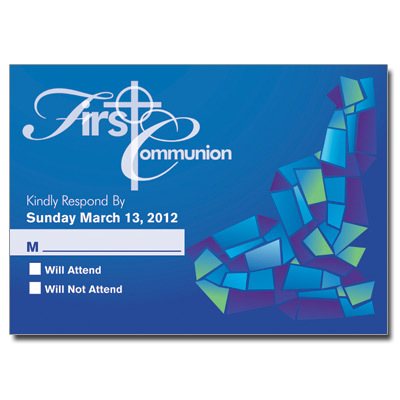 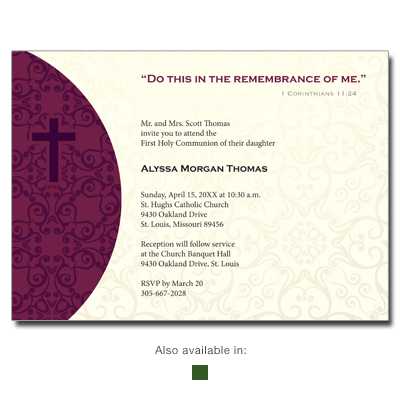 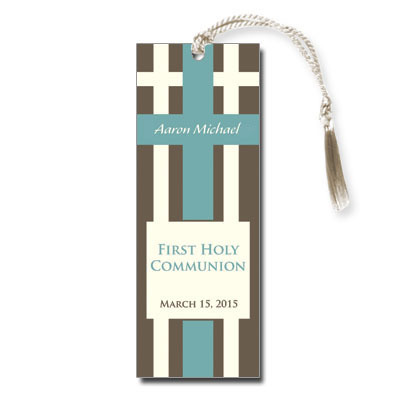 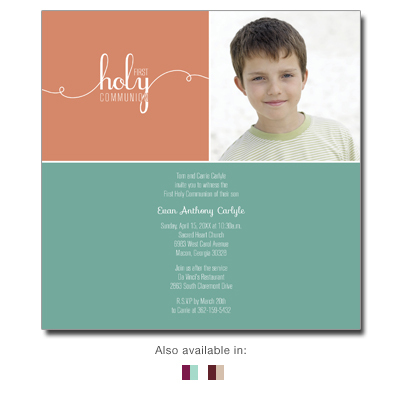 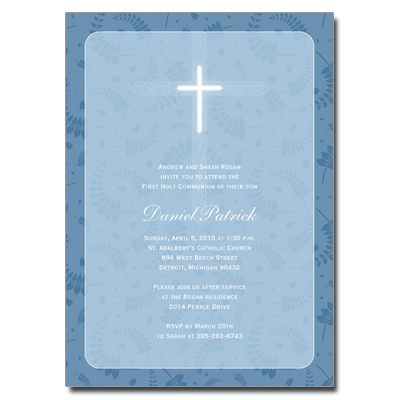 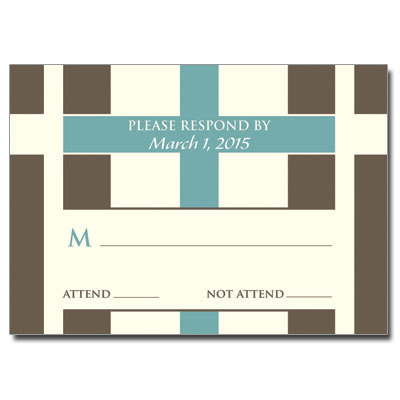 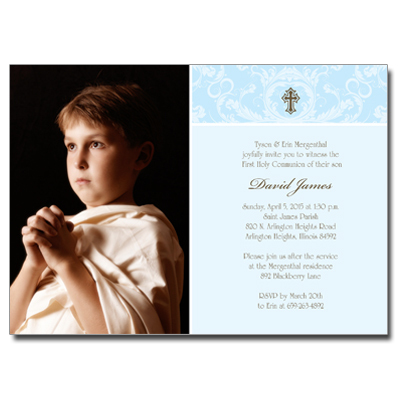 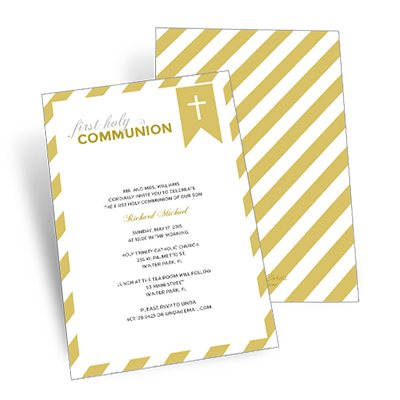 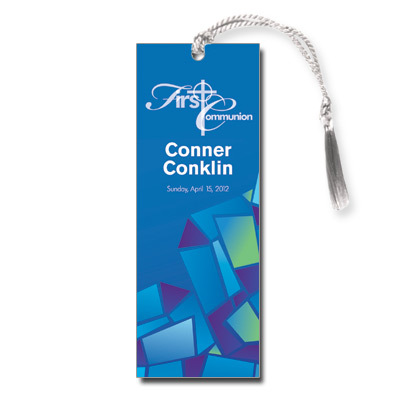 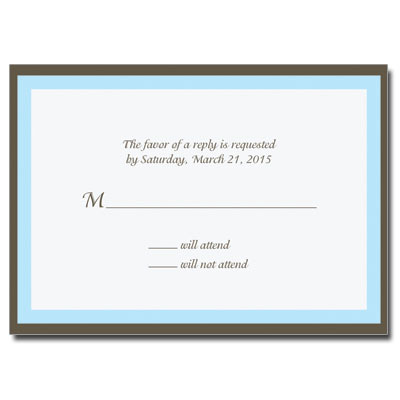 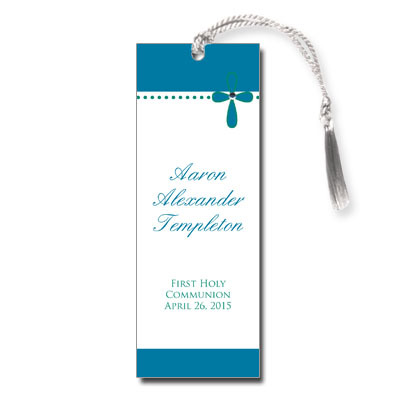 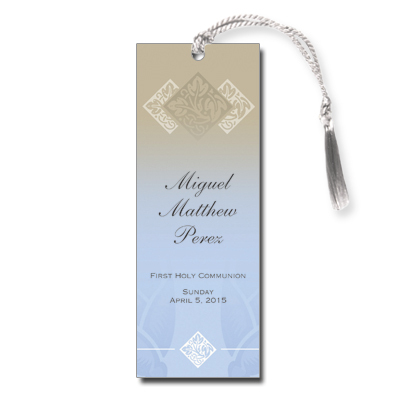 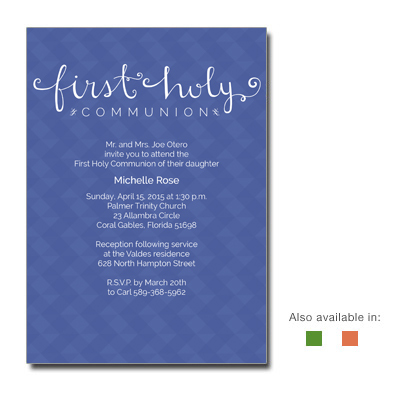 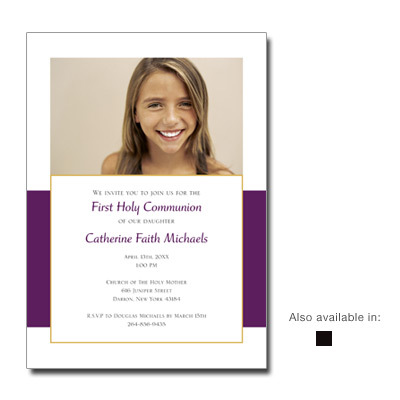 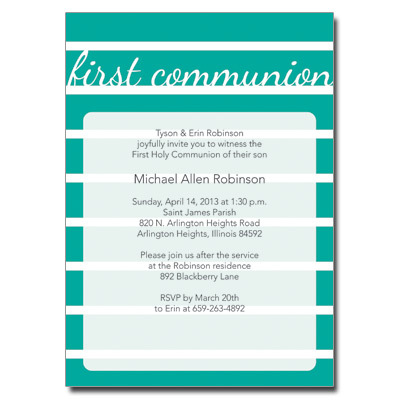 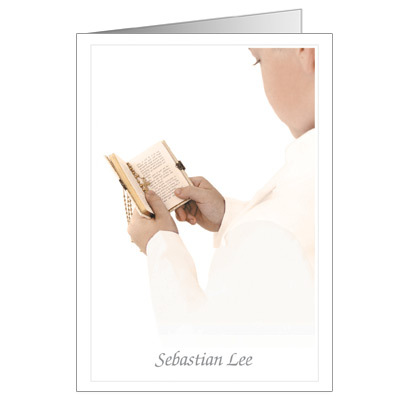 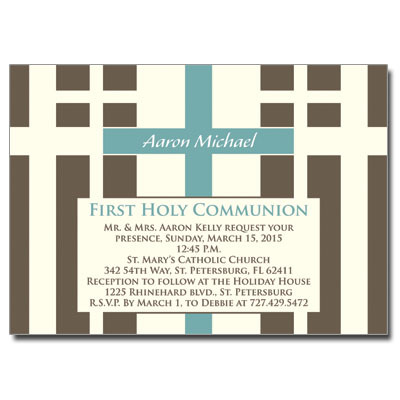 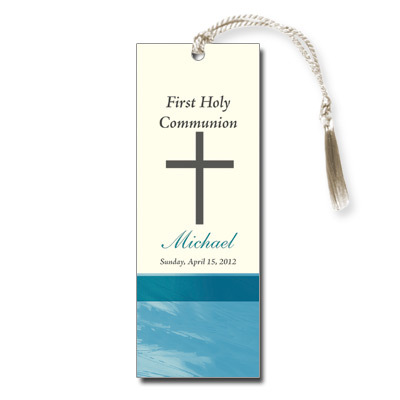 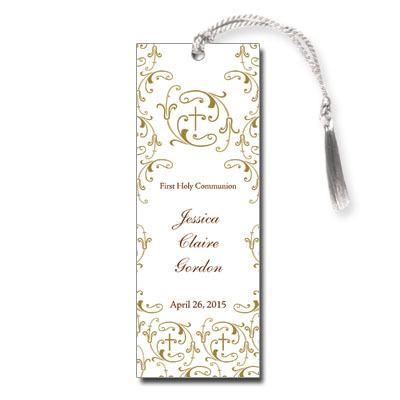 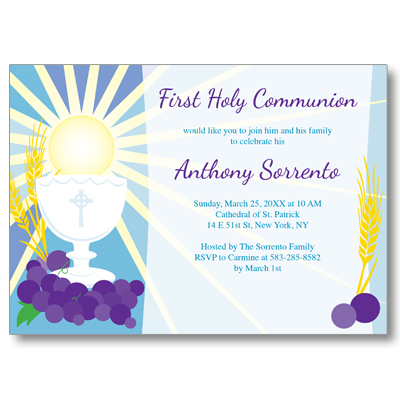 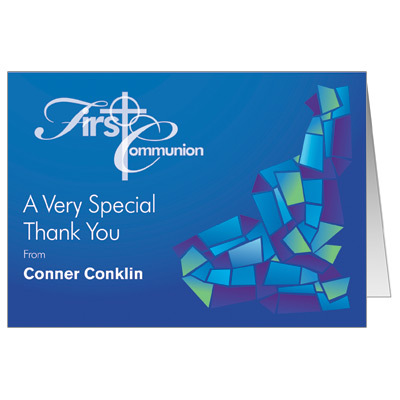 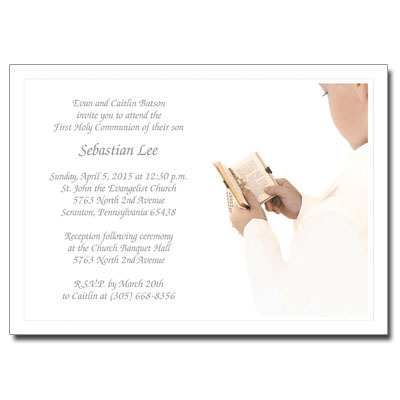 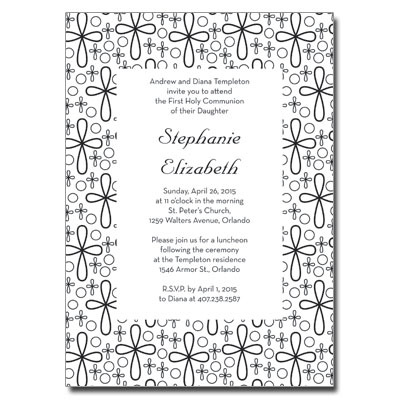 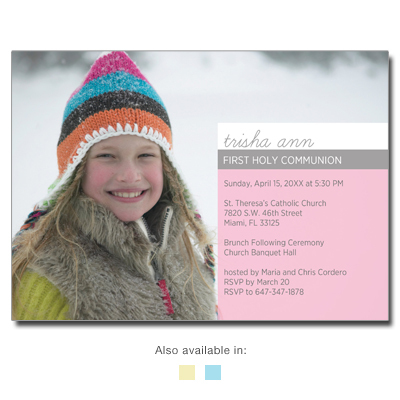 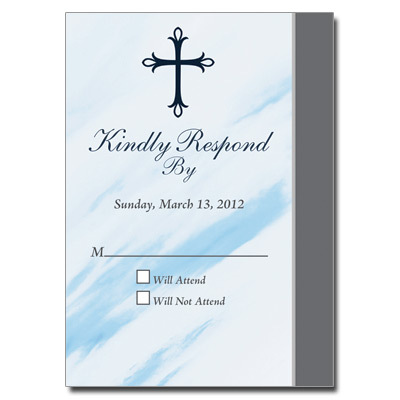 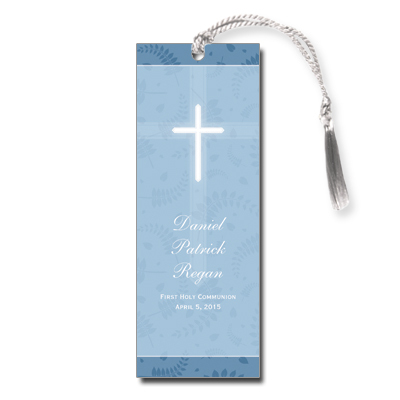 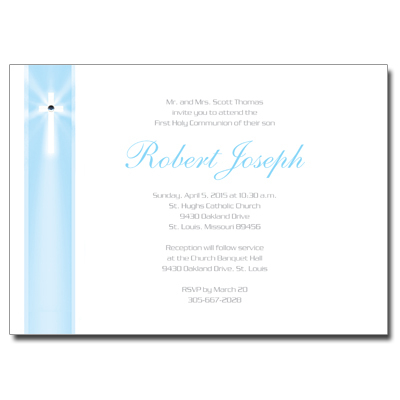 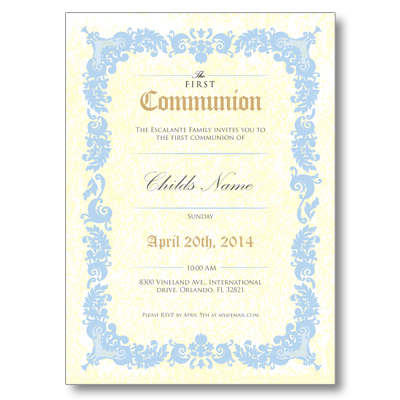 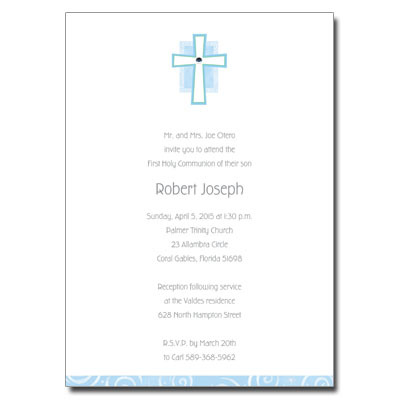 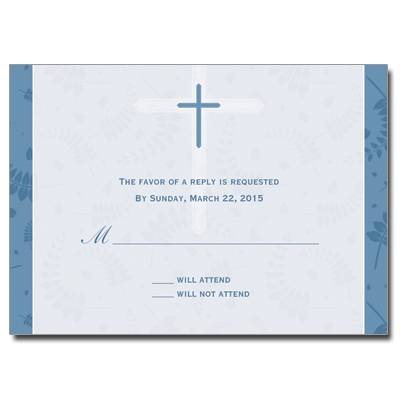 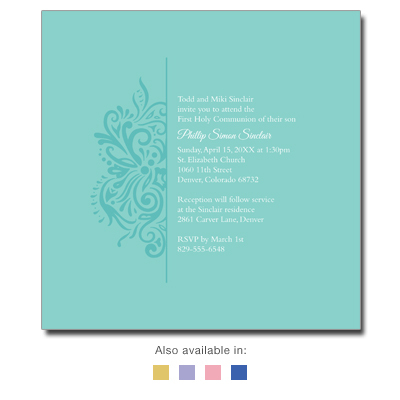 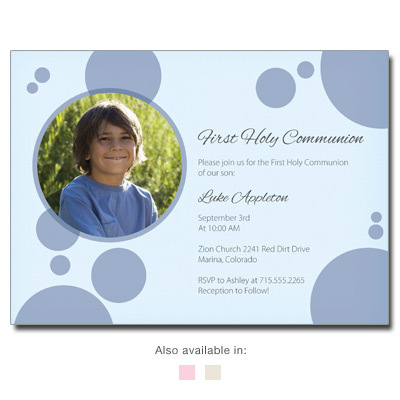 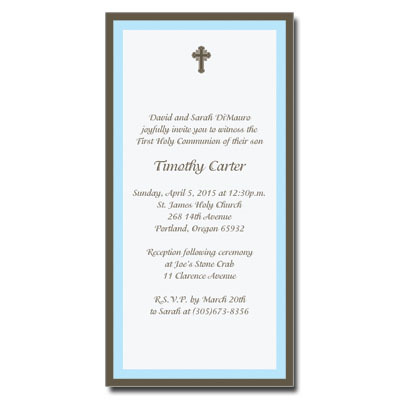 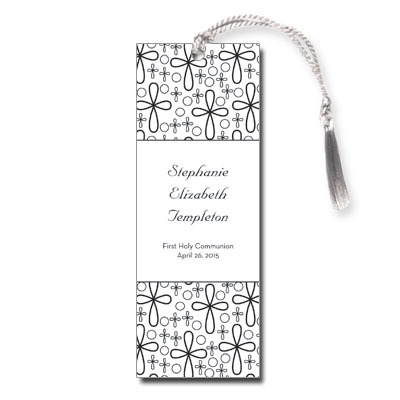 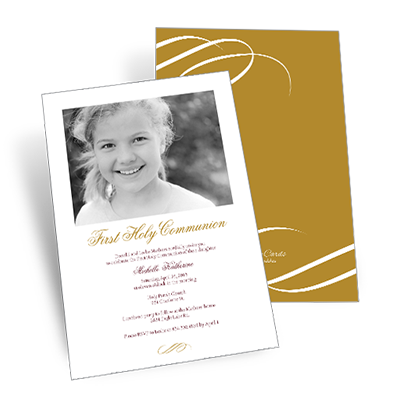 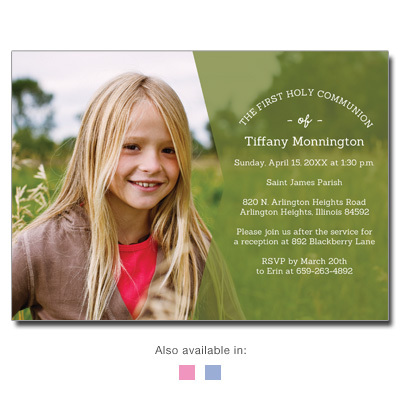 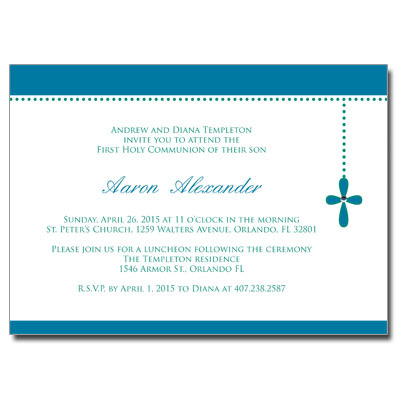 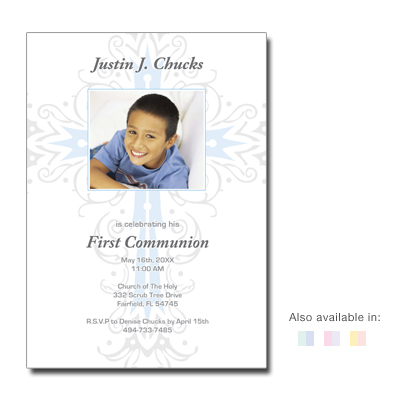 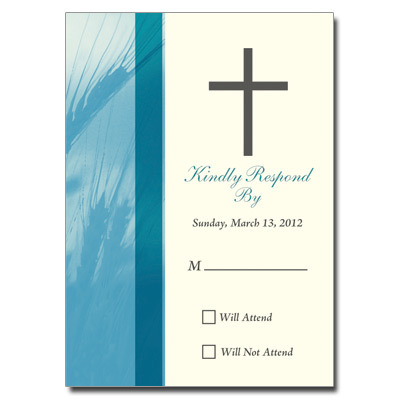 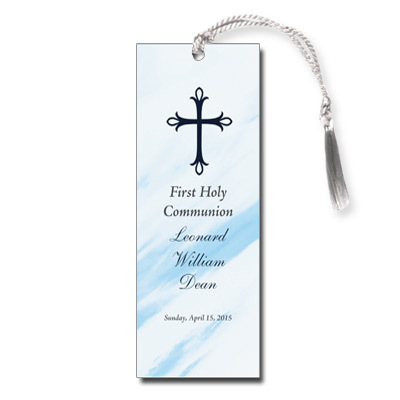 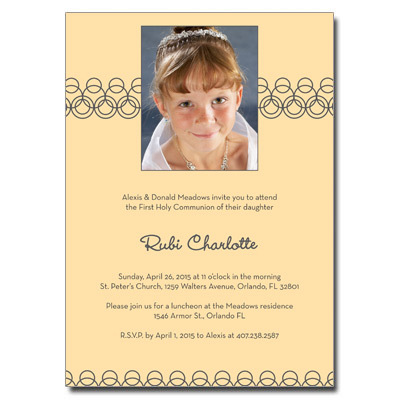 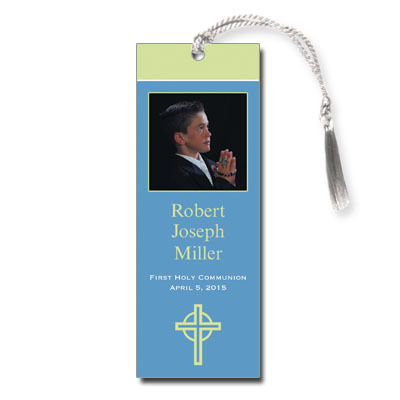 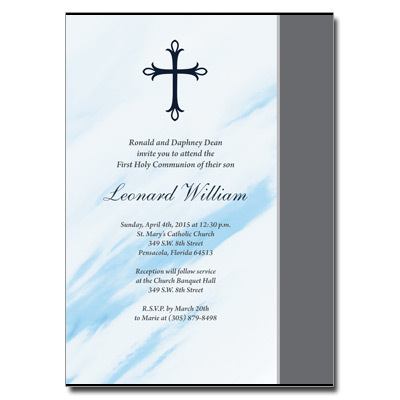 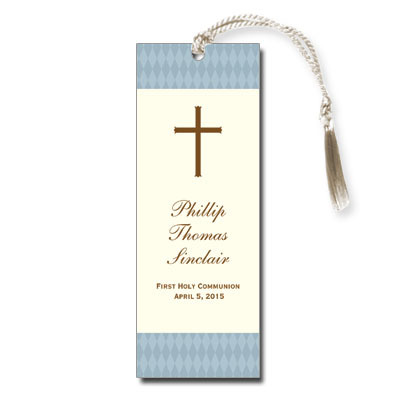 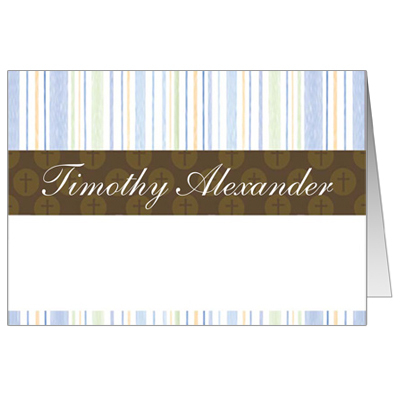 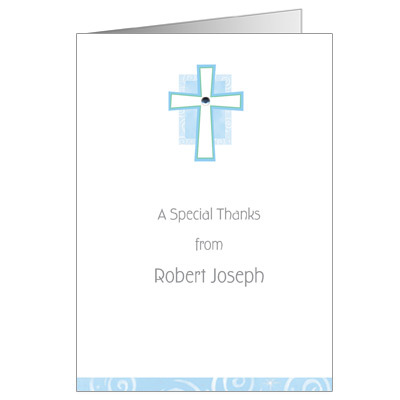 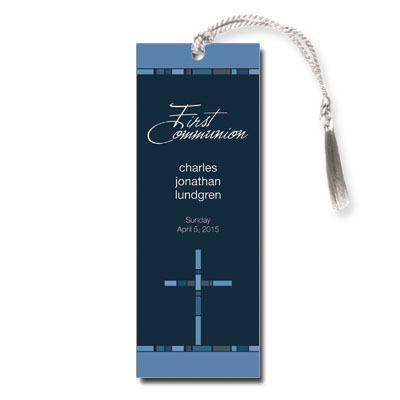 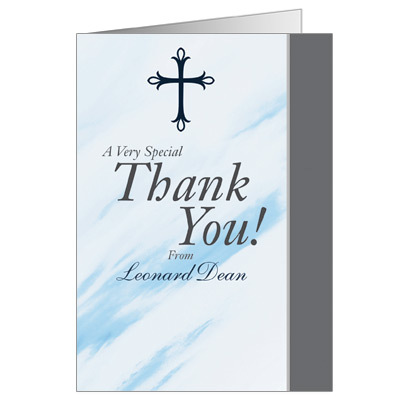 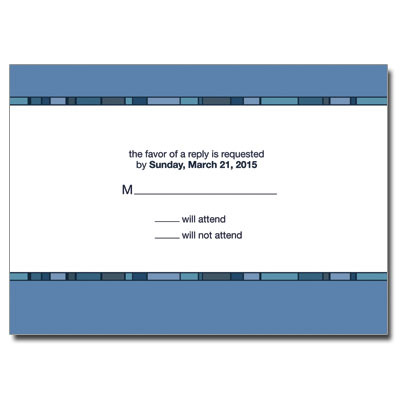 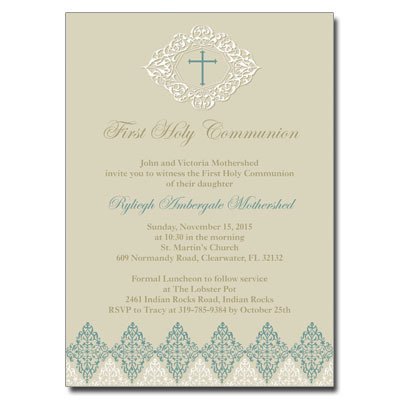 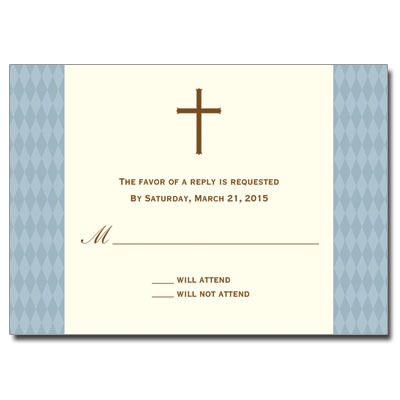 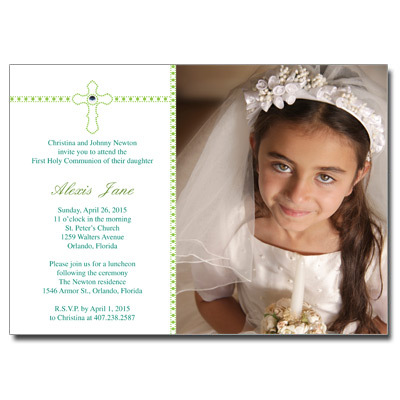 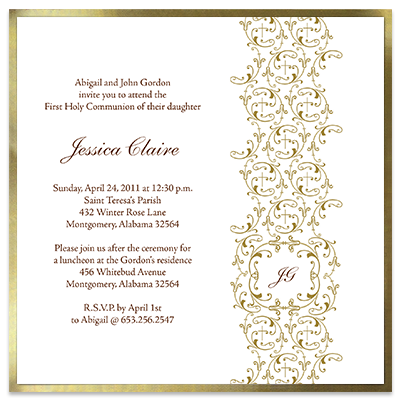 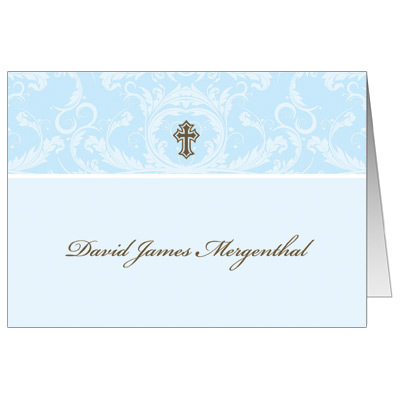 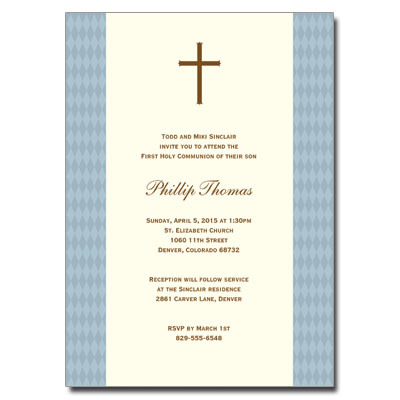 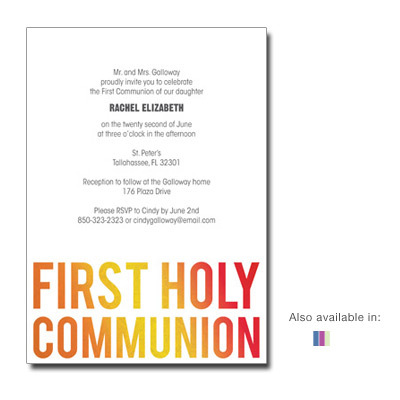 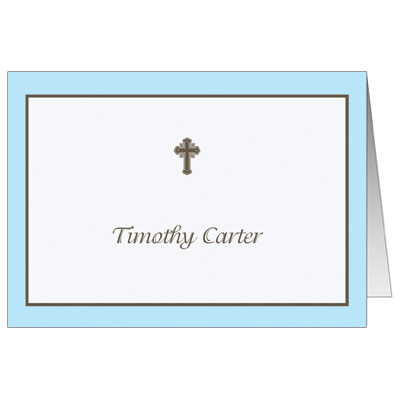 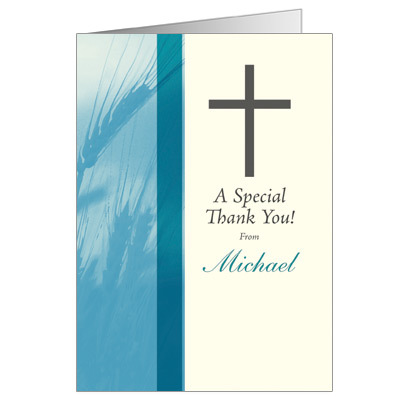 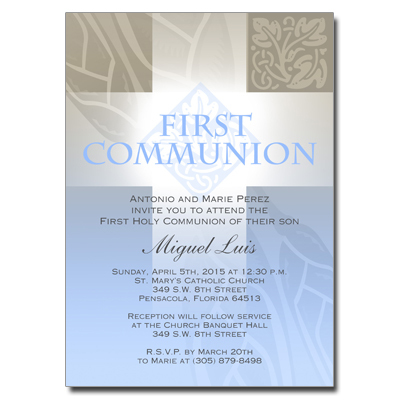 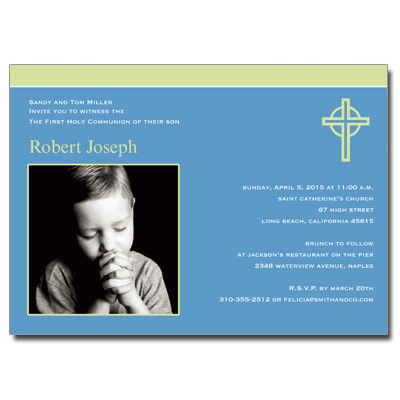 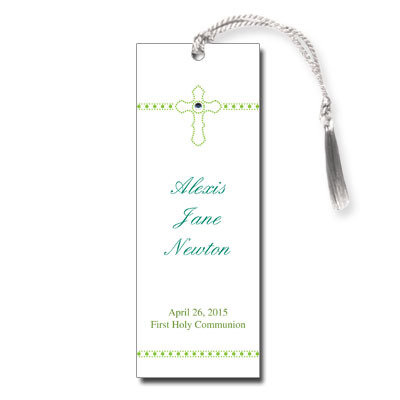 Personalize your own boys First Communion invitations. 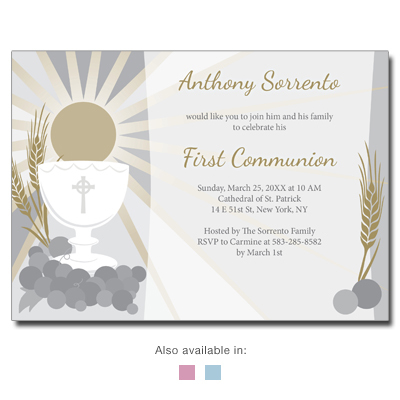 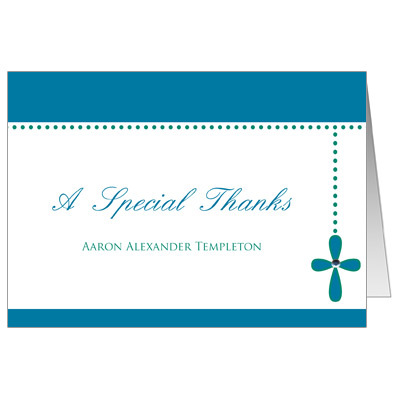 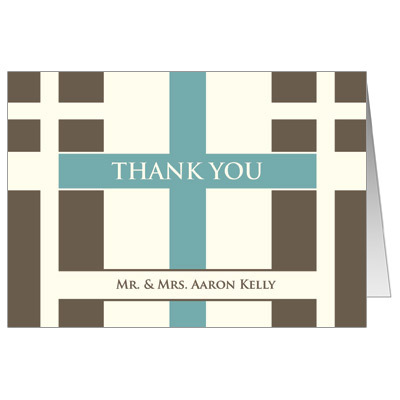 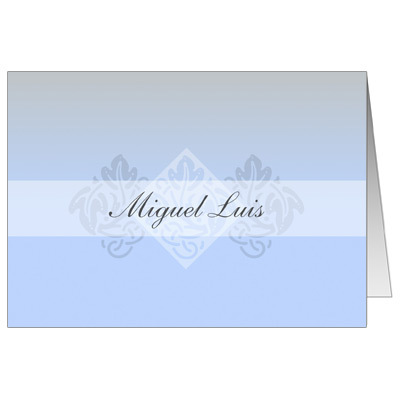 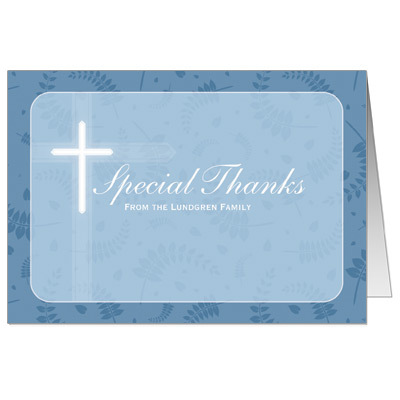 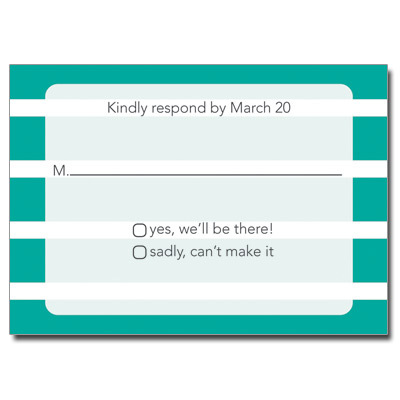 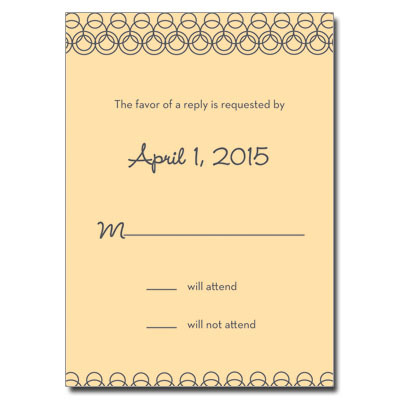 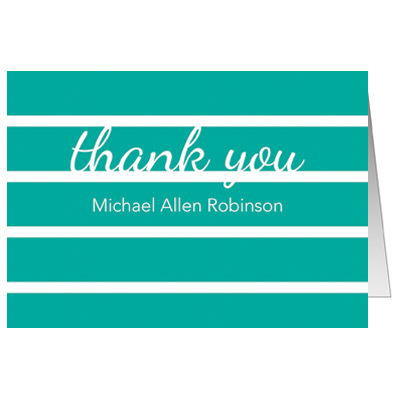 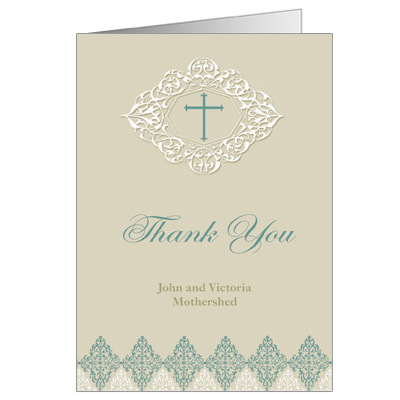 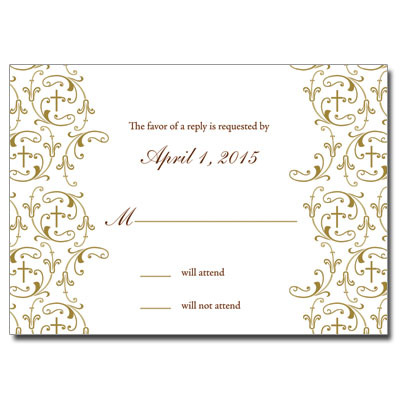 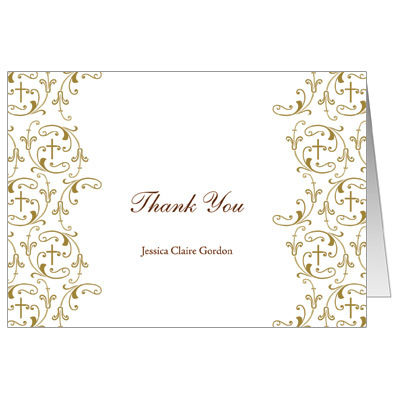 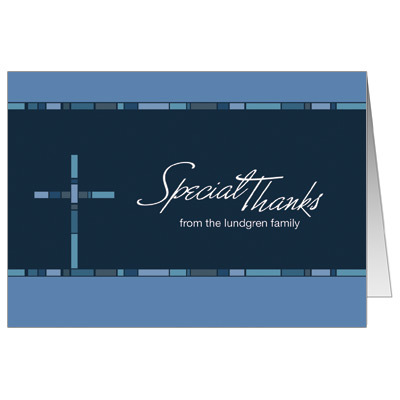 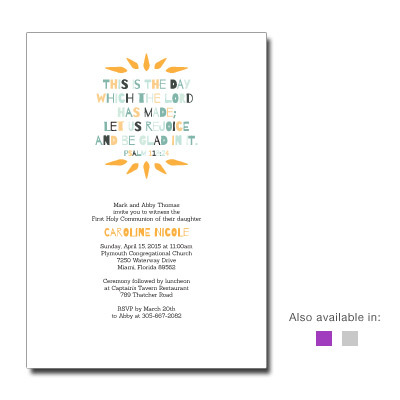 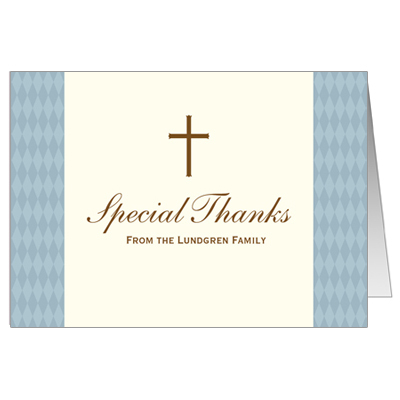 We have dozens of exclusive styles and designs to create the perfect communion invitations for boys ��� matching note cards and favor ensembles also available. 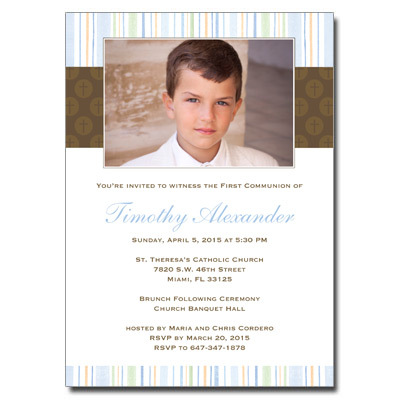 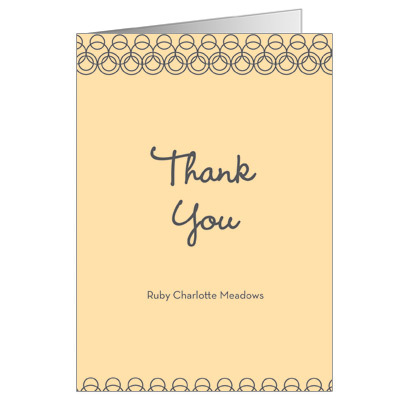 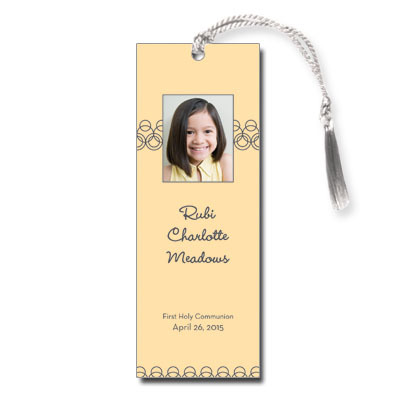 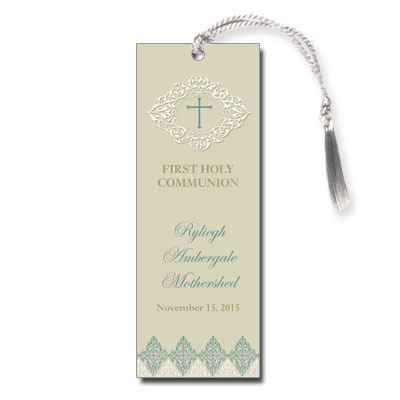 Celebrate your son���s First Communion party in style.